Loco Races is owned and operated by runners just like you who believe that loyal runners deserve a company truly dedicated to the sport of running and to the running community! Mike “The Loco Guy” started running back in 1969, when running wasn’t the “popular” sport that it is today. He ran varsity cross country in high school and at the University of New Hampshire. After graduation in 1980, he joined Nike at their original headquarters in Exeter, NH developing technical running shoes, before moving on to Saucony and eventually to New Balance. 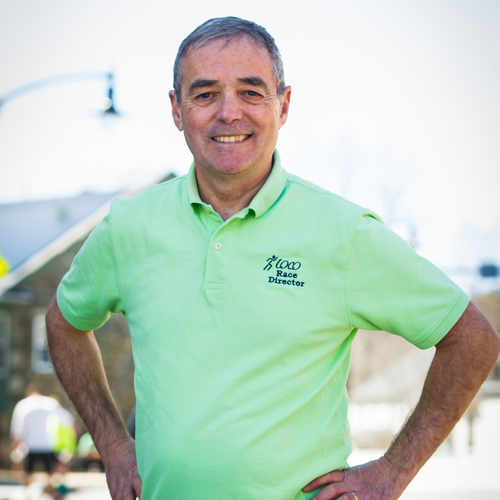 His racing resume includes seven Boston Marathon finishes, a couple “Reach the Beach” 212-mile relays, and a few runs up Mt. Washington. Mike has coached championship high school XC teams as well as junior high and Hershey track. Currently he devotes his time to giving back to the local running scene at the high school level and spends time running with his family – who are now all faster than him. Linda grew up in Hopkinton, MA where every year as a child she watched the start of the Boston Marathon. 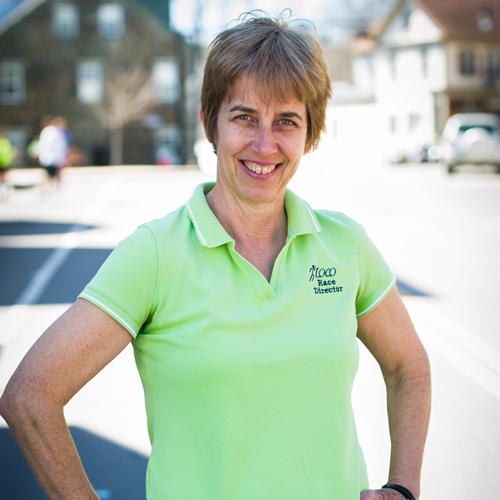 She began running in 1977 at the University of Massachusetts, Amherst. She ran cross-country, indoor track, and outdoor track. After college, she continued to race anything from 5k’s to marathons. She spent many years coaching cross-country and track at local NH schools and now enjoys watching her own kids, Kevin and Robyn, run races. Her PR’s include a 5:01 mile, 17:40 5k, 37:23 10k and her one and only marathon – 3:07. Arlon spent 20 years in insurance & risk management consulting (not as interesting as it sounds), the last 8 of which were in Boston – suit & tie bad, running along the Charles River at noon, good! In 2002 he was drawn into the formative stages of what would become Loco Races. Some runners are born, others made – Arlon is clearly in the latter category. He started running in 1992 and ran his first marathon in 1995. A veteran of 7 marathons, hundreds of 5k & 10k races, several Reach the Beach Relays and annual runs (OK, lots of walking too!) up Mt. Washington. While his race times at any distance aren’t too impressive, his pacing has allowed for extensive research into the mid-pack psyche – an excellent complement to findings from the rest of the (speedy) Loco Races team! 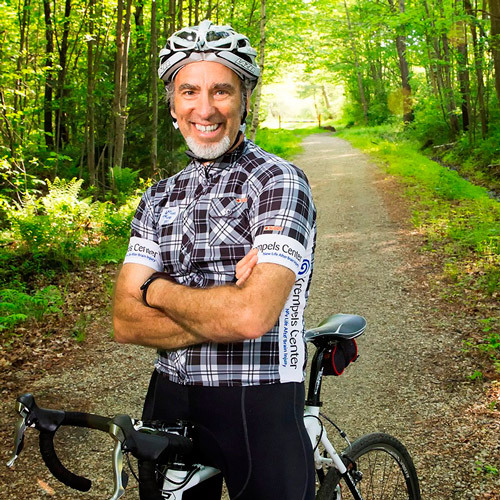 When he’s not running, Arlon might be found riding one of his several bicycles. His daughters now grown, he feathers the empty nest in Newmarket, NH with his current favorite wife. Copyright 2019 Loco Sports LLC. All rights reserved.